Nuyorican writer R. Narvaez was born and raised in Williamsburg, Brooklyn. His mother came from Ponce, Puerto Rico; his father from Naranjito. Narvaez received his master’s degree from the State University of New York at Stony Brook and later attended the Humber School for Writers on a scholarship. He has taught at the high school and college levels and worked in magazine publishing and advertising. 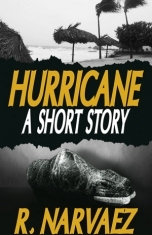 His literary and crime fiction have been published in Mississippi Review, Murdaland, Street Magazine, Thrilling Detective, Indian Country Noir, Long Island Noir, Hit List: The Best of Latino Mystery, and You Don’t Have a Clue: Latino Mystery Stories for Teens. 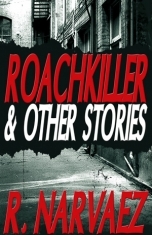 His short story “Roachkiller,” which appears in the collection Roachkiller and Other Stories, was selected as a Distinguished Mystery Story in Best American Mystery Stories 2008, edited by George Pelecanos. He blogs at Nuyorican Obituary.